Dr. Ariyan accepts the following list of insurance providers. Select your insurance provider to see more details. I am a board-certified general surgeon specializing in surgical oncology with a clinical expertise in melanoma and soft tissue sarcoma. I work closely with the patient and the comprehensive team of physicians to customize treatment plans for each individual. 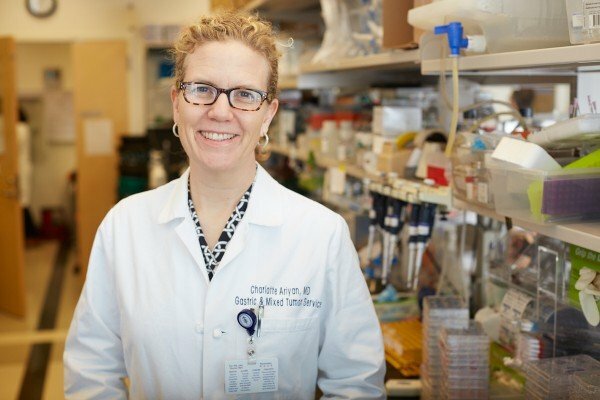 In my research, I am investigating new ways to allow the immune system to fight cancer. I am also involved in clinical trials aimed at defining the role of current therapies and improving outcomes through novel new treatments. I am currently the principal investigator (PI) of a Phase II trial investigating the addition of systemic ipilimumab to isolated limb infusion for melanoma in transit disease. I am also the Memorial Sloan Kettering PI of the multi-center MSLT-II trial. This trial randomizes patients with a positive sentinel lymph node to completon lymph node dissection versus ultrasound surveillance of the lymph nodes. “Salivary gland tumors.” Ariyan S, Narayan D, Ariyan C. In: Plastic Surgery, Volume 5. 2nd ed. Philadelphia: WB Saunders; 2006. “Surgical management of soft tissue sarcoma: histologic type and grade guide surgical planning and integration of multimodality therapy.” Ariyan C, Singer S. In: Modern Soft Tissue Pathology. New York: Cambridge UP; 2010. “Surgical management of soft tissue sarcoma in the geriatric population.” Ariyan C, Brennan M. In: Principles and Practice of Geriatric Surgery. 2nd ed. New York: Springer; 2011. Visit PubMed for a full listing of Dr. Ariyan’s journal articles. Pubmed is an online index of research papers and other articles from the US National Library of Medicine and the National Institutes of Health.